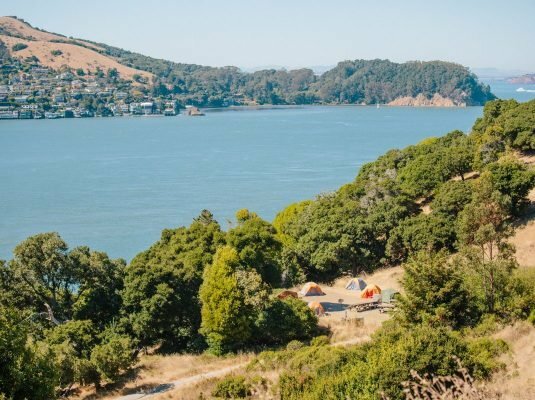 Before your trip, you need to reserve a camping spot at Angel Island. Go to reserveamerica.com and reserve the “kayak” campsite. 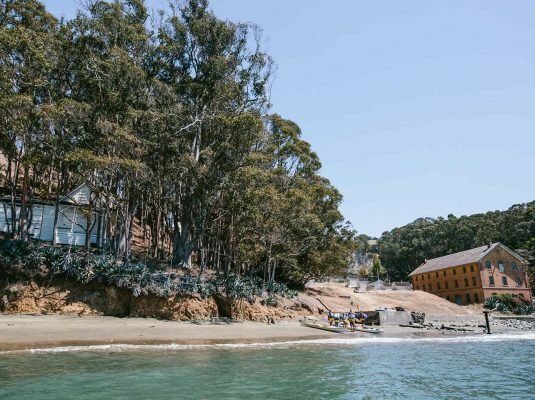 Once you have a place to camp, Sea Trek can guide you across the bay to Angel Island, and help you get settled and then return the next morning to guide you back. 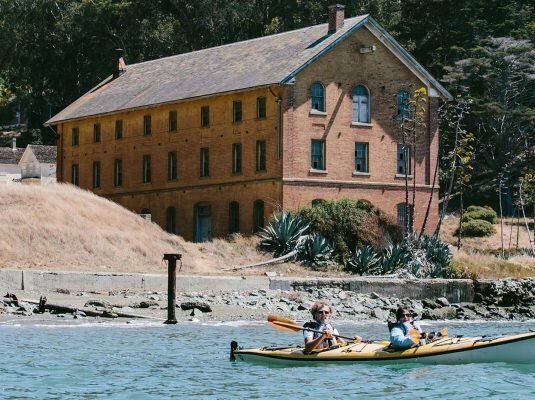 We’ll start paddling to the island around noon (exact time depends on tides), arriving for some afternoon hiking with breathtaking panoramas, followed by dinner at the campsite. The following morning, we paddle back to Sea Trek. If you lead an active lifestyle, you should be able to do this trip. 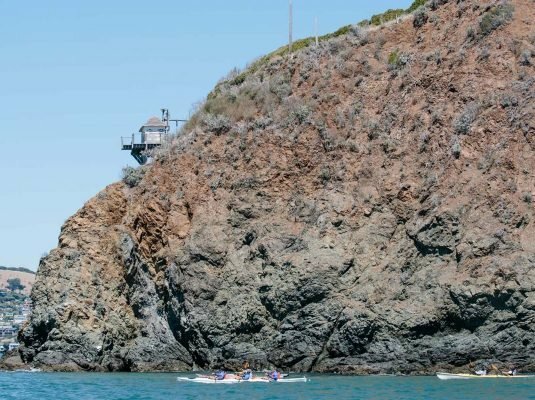 Kayakers who have taken advanced classes with rough water rescues will be allowed to use single kayaks otherwise we use traditional double kayaks. We currently only offer this trip for private groups of at least 6 people. 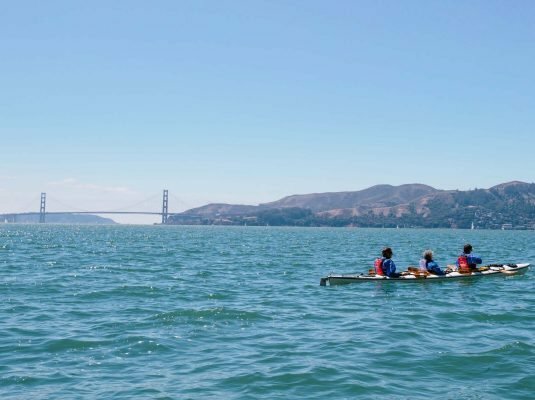 Set up your trip online or by calling (415) 332-8494 today.